Hiii I just found this forum today, I got directed here by Walton from the CS place. I love reading, and I love designing. And not too long ago I got the wacky idea to combine both ideas together and start doing book cover art. I did want to write novels in the past as well but my ideas never seemed to translate well when I put it into words (but I'm not ruling out writing a book in the future just yet!). But back to the point! 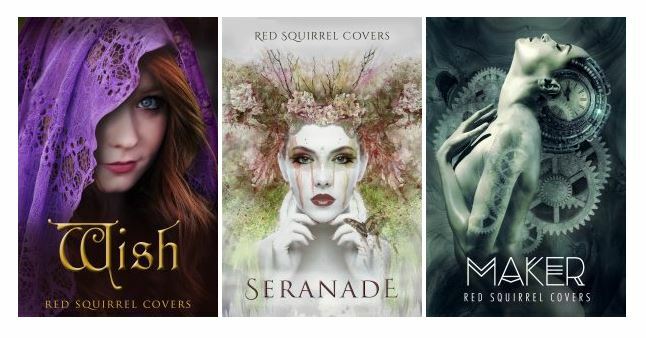 I have some knowledge in book cover designing so if anyone here needs any advice or tips when they want to design their cover, i'm here to help! Hi Lily, welcome to the forum. Great covers. You should also include a link in your signature or your post to your website, to allow us to peruse your covers. I assume you have prices on there as well? And I am currently looking for three covers for a series, near-future, police procedural. doors can symbolize a turning point, and there are certainly going to be plenty of those in Book 5 The candles.... Ummmm, Ill get back to you on that one.